The Acavallo Air Release Gel Pad is a useful innovation from Acavallo. 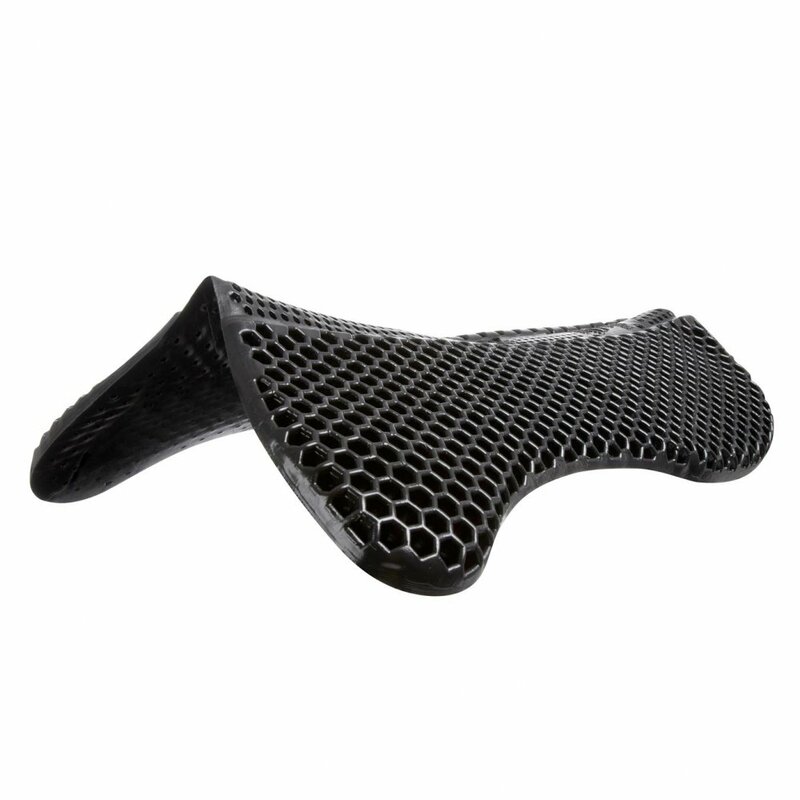 This honeycomb style gel pad has air compressed within the cells of the non-slip pad, as the horse moves the air is expelled creating a cushion under the saddle. The Air Release Gel Pad is available in one size only in either black or clear.